The last week of September is celebrated by alpaca ranches nationwide as a time to open to the community and share their love of the animals. This was Amigami’s second time observing the event, and this time not as a vendor but as a hetman (which is shearing speak for ‘assistant’). We travelled to Lippencott Alpaca Farm outside of Waynesburg, PA, and were welcomed with open arms by Phil & Lena (the owners) as well as their whole family. 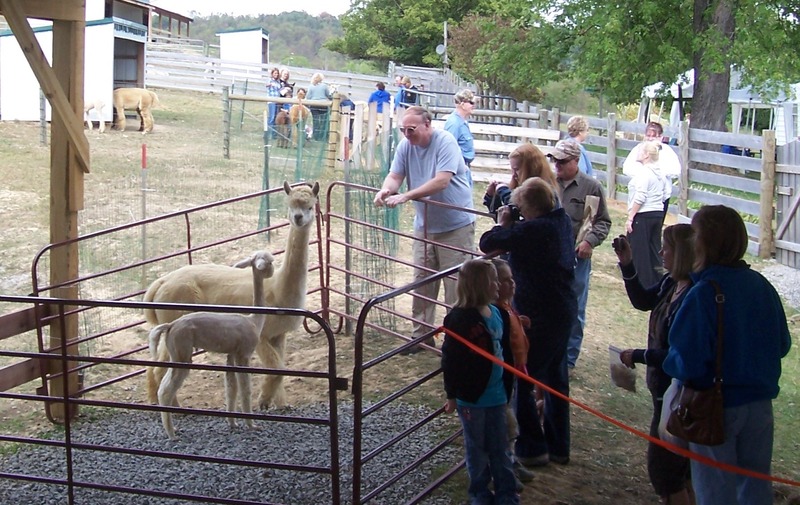 The set-up was spectacular, with a wide array of vendors, and a U-shaped pen which allowed visitors to walk ‘among’ the alpacas. Grandpa even gave hay rides, all weekend long! Hundreds came to see the alpacas – it really was an event for the whole town. Phil & Lena’s farm had 6 cria (baby alpaca) which needed their baby fleece shorn, so we agreed to come for the weekend and do the shearing as public demonstrations. We experimented throughout the weekend with video taping these shearings. We have one posted on YouTube, and we hope to have more in the near future (particularly once the spring shearing season gets under way). In addition to working with the cria, we also had time to enjoy the event and the vendors who came to share their crafts. There were spinners, a local fused glass artist, and even a local winery. Everyone was so pleasant, and I especially want to thank Ms. Mary Briggs for taking the time to share her knitting prowess with my partner, Ramon. 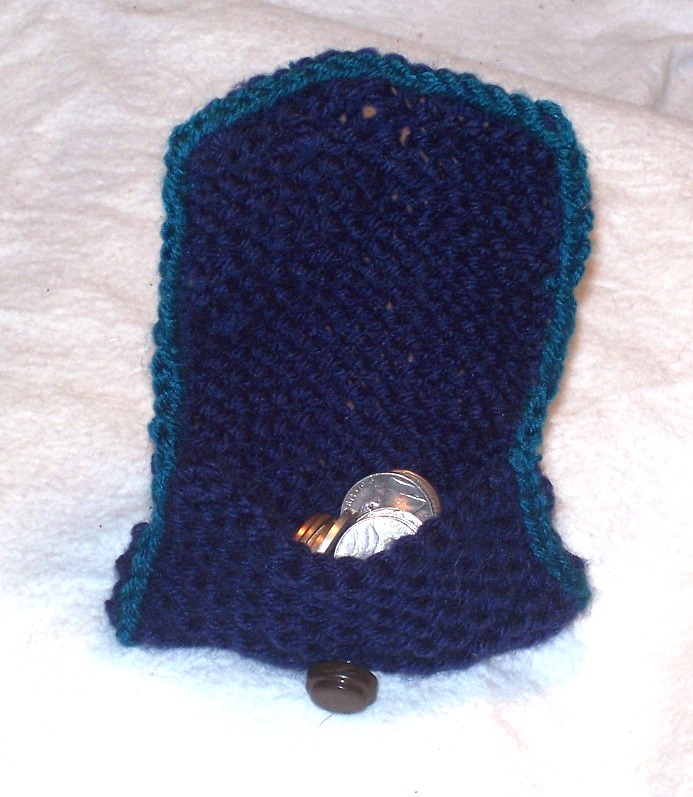 He is currently hard at work on his first scarf, and he was even able to pass on her knowledge to me – now even I can knit (kind of…) For my first project I made this cute little wallet pouch by simply knitting a rectangle, then folding it and crocheting up the sides and around the top flap. Again, I can’t thank the Galing family enough for the incredible hospitality they showed us, as well as every visitor. The setting was immaculate, and we couldn’t imagine a more enjoyable Farm Days weekend. We will definitely be returning to Lippencott Alpacas next September! And if you’re ever near the Waynesburg, PA area, you should definitely try to visit too!